Apart from the tulips, there are other interesting, cute things at the Hershey Gardens. and huge HUGS and KISSES to all! at first thought, i want those kisses stools. but then again, pag lagi ko sila makita, baka i would eat kisses all the time! bad! he he! why hershey's garden? may hershey chocolate factory diyan? 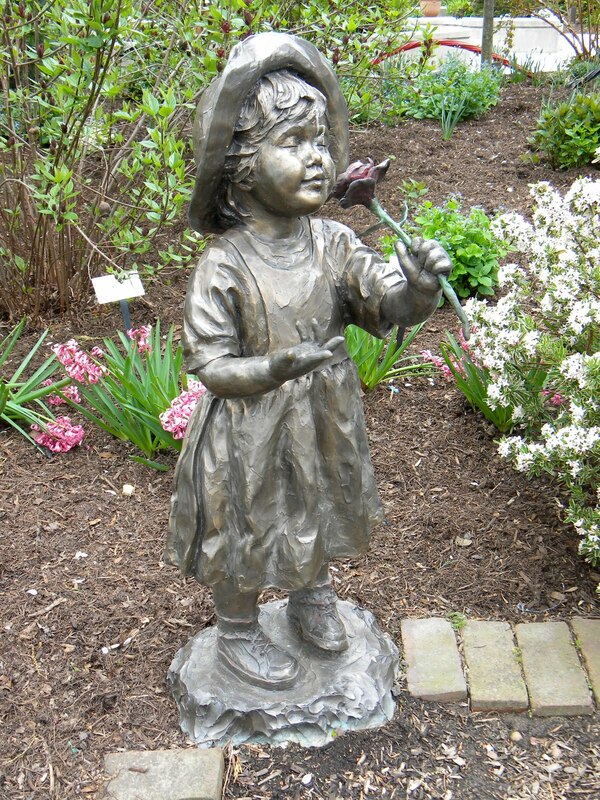 @ dyanie, yes, hershey garden is part of the town of Hershey, where Hershey chocolates come from. i'll post something on the chocolate factory. i love the girl smelling the flower and the butterfly bench. the place looks amazing! I'm waiting for the chocolate factory post! I love gardens with pergola; that's a nice addition to any garden. I love tulips. I find them pretty especially when they come in different colors. Ironically, I've never received one before. The sculptures are lovely. I like that butterfly bench.